This week Chance The Rapper and Childish Gambino linked up, Drake and JLo went to Vegas together and Mariah Carey responded to her New Year's Eve performance. 1. 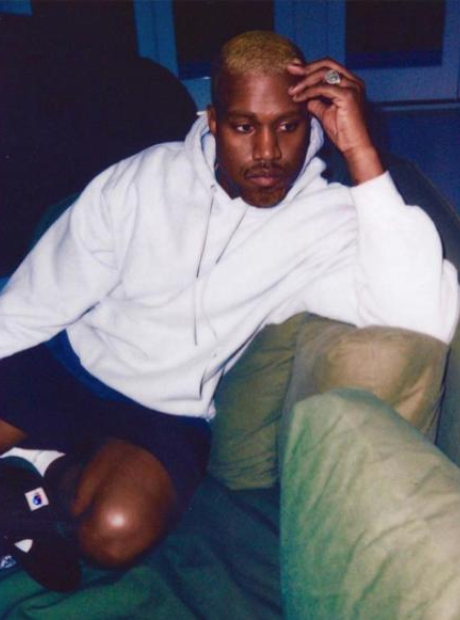 Yeezy showed off his new blonde look in a candid photo. 4. Kanye West was spotted working a late night at his office in LA. 5. Blac Chyna rocked the sultry look during her new photoshoot. 6. Rihanna arrived at JFK Airport looking casual but stylish. 7. While Drake was the cover star of this month's British GQ. 10. He was joined by girlfriend Kylie Jenner and her friend Jordyn Woods to bring in the New Year. 11. Erykah Badu and Quest Love showed off their matching hairstyles. 12. Tinashe launched her own range of eye shadow with MAC Cosmetics. 13. Chance The Rapper and Childish Gambino got together - were they working on THAT collaborative album? 14. Drake performed at Hakkasan Nightclub in Las Vegas on New Year's Eve. 15. And was joined by his new squeeze, JLo. 16. Mariah Carey claimed her disastrous New Year's Performance was sabotaged for TV ratings. 17. Skepta posted some polaroid snaps from his New Year's Eve celebrations. 18. John Legend was suited and booted as he celebrated 2017 with wife Chrissy Teigan. 20. The rapper celebrated in style with her cousins at the bash. 21. Pharrell spoke at the Palm Springs Film Festival after his work on 'Hidden Figures' was honoured.